In today's experiential retail world, in-store restaurants are tempting shoppers with a taste of a lifestyle. The restaurant at new concept store 10 Corso Como in Manhattan’s Seaport District. During New York’s 2018 fall fashion week, Milanese mecca 10 Corso Como opened its first U.S. outpost. Transforming the Seaport District’s historic Fulton Market Building into a contemporary concept store, the 28,000-square-foot space is an eclectic mix of fashion, design objects and books alongside an art gallery and restaurant. The original premise for the shop, founded in 1991 by former fashion editor Carla Sozzani, was a “living magazine.” At the new locale, guests can dine at Pollock-inspired tables on the neighborhood’s cobblestone streets or take an Aperol spritz for a spin around the store to shop Comme des Garçons or eye the Salvador Dalí exhibit. Mirador at Forty Five Ten in Dallas. With its ability to merge fashion and art, Dallas-born boutique Forty Five Ten continues its expansion into food. Following the opening of its top-floor restaurant Mirador in 2016, this winter, the retailer (which has stores in Yountville, Calif., and Miami, and is opening in Aspen and Hudson Yards in Manhattan later this year) debuts a more casual dining experience called No Aloha. Located on the first floor of Forty Five Ten’s 37,000-squarefoot flagship, the indoor-outdoor cafe pops with a punchy mural by Katherine Bernhardt. The installation joins the shop’s world-class art collection, which includes work by Tracey Emin, Juergen Teller and Greg Bogin. 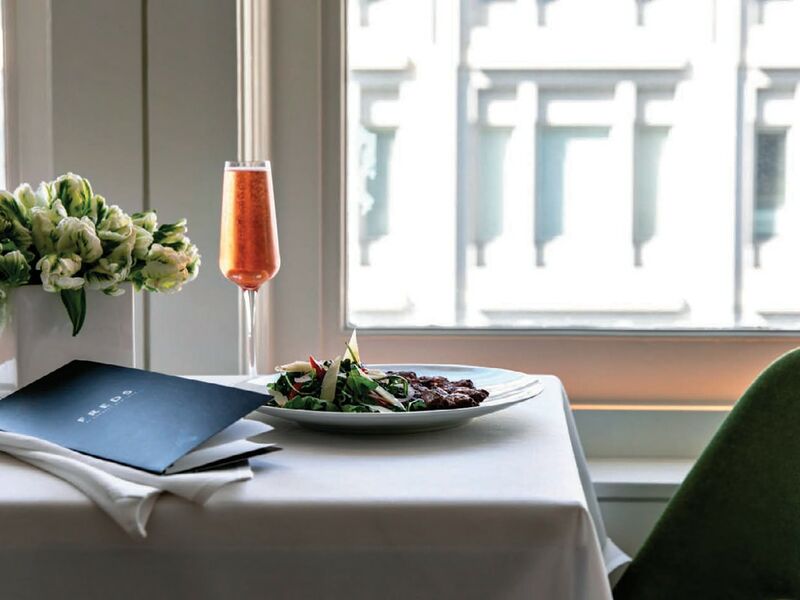 Lunch and a view of Union Square at Freds at Barneys New York in San Francisco. 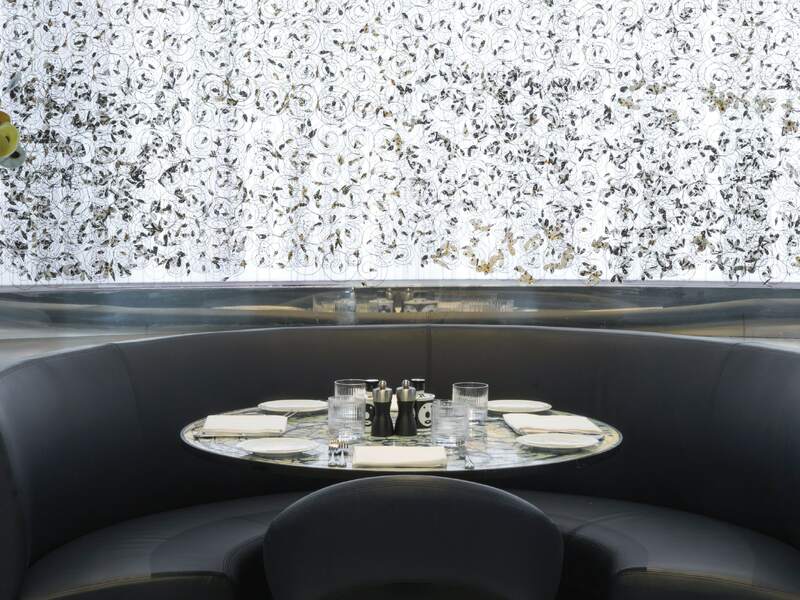 In the fall, Barneys New York opened its fifth Freds restaurant, within its San Francisco store. Taking over the retailer’s sixth floor, Steven Harris Architects and Lalire March Architects juxtaposed the space’s circa-1909 bones with contemporary furniture. With a view of Union Square through the landmark building’s arched windows, shoppers can fuel up on signatures like Freds’ famous chopped salad, chicken noodle soup and pommes frites. Wine Vault, RH, Yountville, Calif.
At RH’s new restaurant in Yountville, Calif., trellis-covered outdoor living rooms connect via a courtyard to the brand’s newly acquired historic Ma(i)sonry and wine vault. Built in 1904 and listed on the National Register of Historic Places, the two-story Wine Vault at the historic Ma(i)sonry building is the crown jewel of RH’s new wine country compound in Yountville, Calif. An integration of food, wine, art and design, the property is the result of a collaboration between famed restaurateur and founding president of RH Hospitality Brendan Sodikoff and architect James Gillam of Backen, Gillam & Kroeger. Originally home to one of Napa’s first vintners in the early 20th century, the landmark Ma(i) sonry building now houses a curated selection of limited-production wines from the valley’s top small producers. Guests are welcome to walk through the garden courtyards, wineglass in hand, and shop at two boutique design galleries featuring RH home furnishings and globally curated antiques. 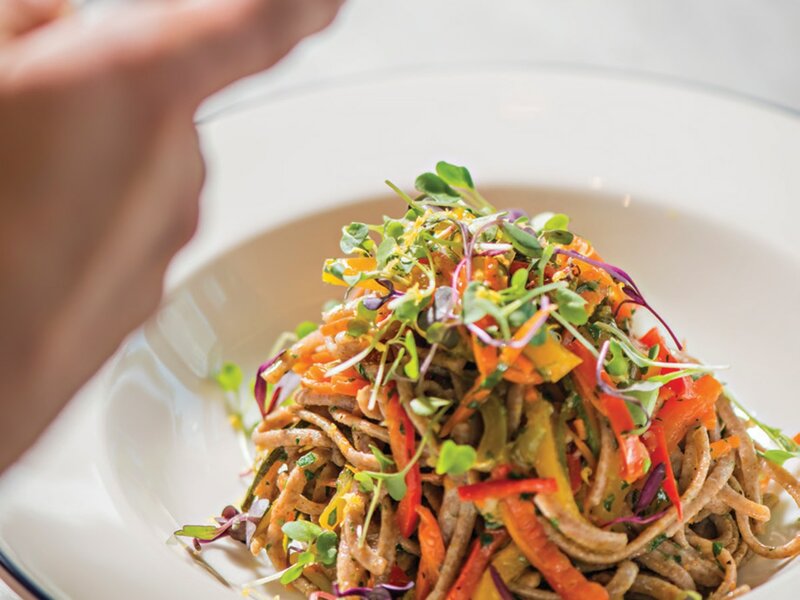 In Miami, crafted Italian and Mediterranean fare is on the menu at Casa Tua Cucina at Saks Fifth Avenue in Brickell City Centre. 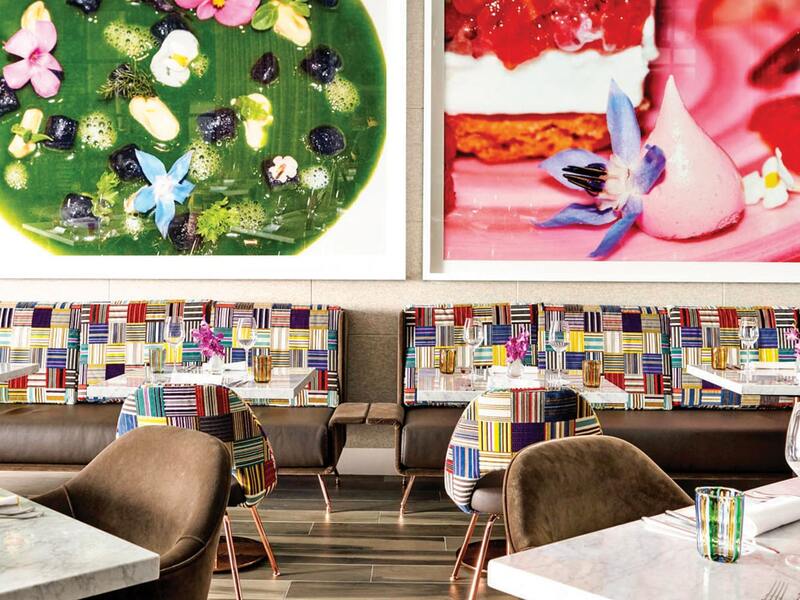 Last year, Miami’s food scene was surprised when the city’s most iconic restaurant, Casa Tua, opened a space within Saks. 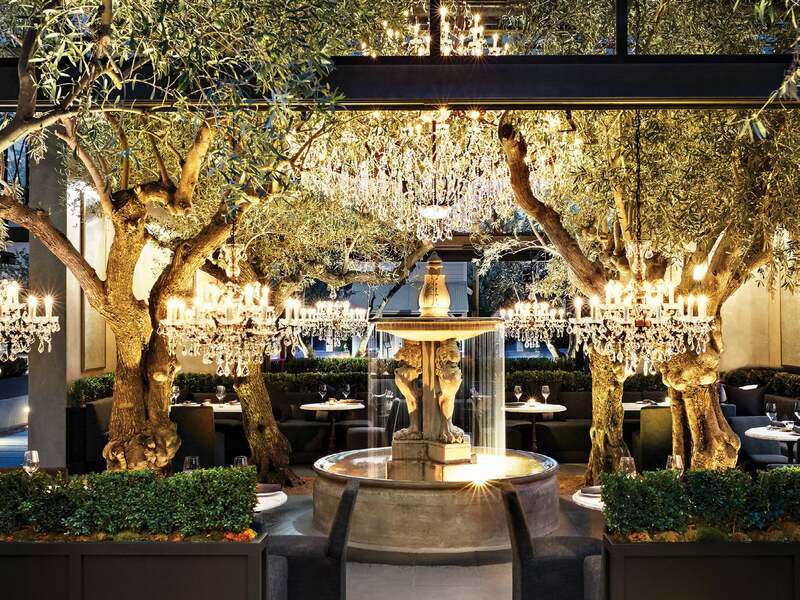 The luxury retailer and restaurant group collaborated on an 18,000-square-foot eatery and food hall with 10 unique dining stations, a 300-seat restaurant, full bar, flower market and personalized home goods shop. “This is new luxury—the evolution of the traditional retail space into a lifestyle-centric destination that offers meaningful experiences,” says Marc Metrick, president of Saks Fifth Avenue. 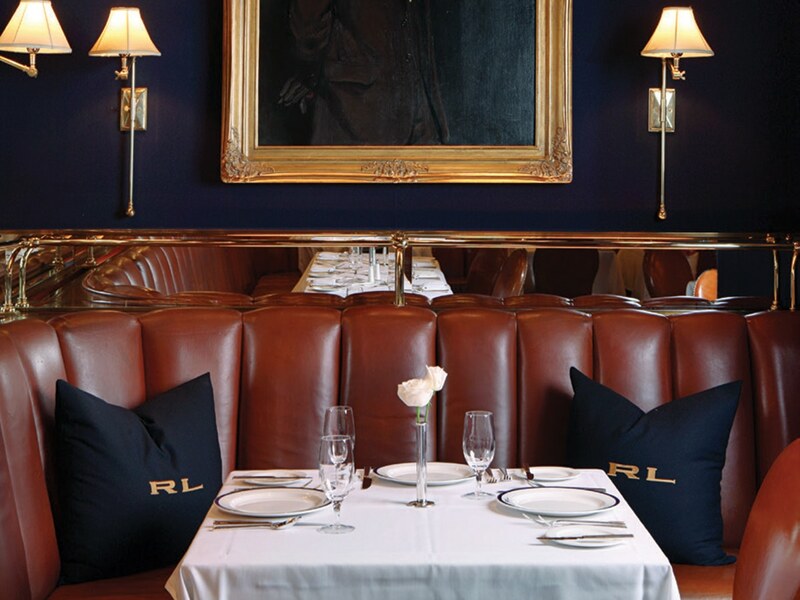 Handsome decor has been a draw for 20 years at RL Restaurant in Chicago. No American fashion designer is perhaps as skilled at selling a lifestyle as Ralph Lauren. Last year, the icon celebrated his brand’s 50th anniversary with a blowout bash and one cover story after another. This year, his original experiential establishment, RL Restaurant—in the Windy City in which he was born—continues the momentum with its 20th birthday. In 1999, with the restaurant built around the corner from the store on Michigan Avenue, Chicago was the first city to get a taste of what the brand was about. Its success led to reservation-necessary hot spots Ralph’s in Paris and The Polo Bar in New York.